Oregon landed a huge commitment from forward Kenny Wooten this past week but wasn’t able to secure Brandon McCoy. But never fear with coach Dana Altman and his staff, there are more recruits on the way. Elijah Brown has committed to Oregon, and the Ducks now have three big time starters for next season. It’s amazing that Oregon’s now landed so many 4-star recruits that when a 5-star like McCoy doesn’t show up, it’s as if it’s some kind of huge loss. Oregon has eight 4-star players and a 4-star player on it’s roster. Three starting spots appear secured and a fourth looks to be manned by another 4-star player. Troy Brown Jr. Brown and Payton Pritchard are locks to start along with Paul White and either M.J. Cage or Keith Smith. Transfer Paul White, a former Top 100 player, will likely start at the wing. 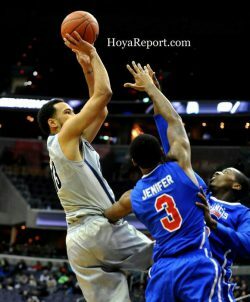 Right now it looks like Pritchard plays the point, Elijah Brown the two guard and Troy Brown the small forward. Or in Altman’s system they each play a wing with Elijah having more guard responsibilities. We’ve said it here before but Brown’s ability to play positions 1-3 in any lineup, and even the 4 in a small lineup with someone such as White, Cage or Kavell Bigby-Williams (should he decide to stay) means Altman can recruit all kinds of different players to play with him and around him. 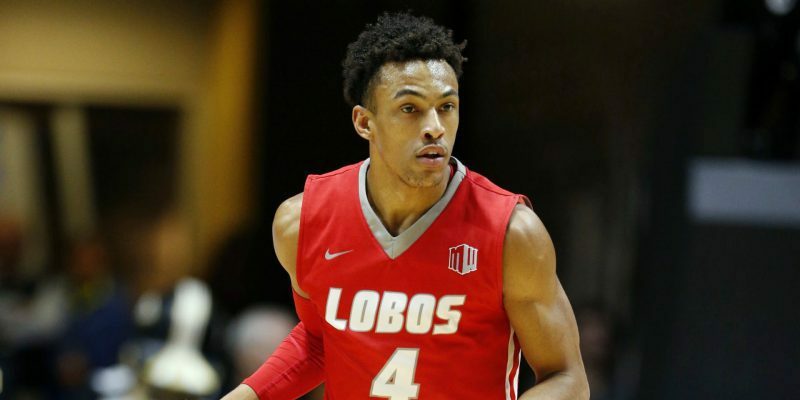 Does McCoy’s choice of UNLV mean Bigby-Williams might return? Could be. Unless Oregon lands a legit power forward at least 6′ 10″, and the only one they’re reportedly after right now is Simi Shittu, Bigby-Williams could start and play a lot of minutes next year, if he returns. And don’t count out V.J. Bailey as another guard regardless of who shows up. The 97th-ranked player nationally has enormous athleticism and will remind fans of the altheticism of former Ducks Andre Joseph and Alex Scales. 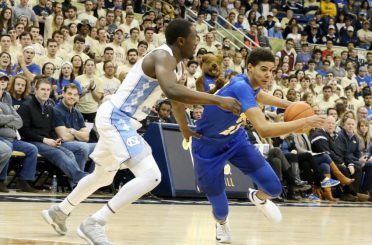 Cameron Johnson would bring instant size, shooting and experience to the Duck lineup. Oregon’s still got several scholarships open and Cameron Johnson, Shittu, Jordan Tucker and Devante Doutrive all have offers. Brown or Johnson would likely start at the two guard spot (or the ‘wing’ in Altman’s offense) alongside Pritchard. The 6′ 5″ Doutrive was the LA City Section Player of the Year. Shittu would start at a Power Forward (or the ‘Big Wing’ spot in Altman’s offense). Tucker and Doutrive would compete with Bailey to start at the Small Wing. Tucker’s final three are Georgia Tech, Syracuse and Oregon. There’s an ongoing rumor that he’s a strong Georgia Tech lean, but nothing confirmed yet. He visited Syracuse during the first week of April. With McCoy going elsewhere, it looks like Oregon could start a bigger lineup with Bigby-Williams, White, Brown, Pritchard and another guard. Or start a more athletic group with White, Brown, Pritchard, Cage or Smith and a new recruit such as Shittu, Tucker or Johnson. All but Pritchard would be in the 6′ 7″ – 6′ 9″ range. However it all shakes out, those lineups are long, athletic, able to press to get out and finish on the break. They also have at least three good shooters and a lot of ball handling and passing skills across the board. Exactly as coach Altman wants to play. There are still weeks to go before players have to sign. Chase Jeter is still visiting schools but Cal appears to have a good shot at landing the former Duke player.